Henry & Mudge and the Long Weekend. J.
Rylant, Cynthia and Sucie Stevenson. Henry & Mudge and the Long Weekend. J. 1992. Henry, his big dog Mudge, and his mom and dad cope with February boredom over a long weekend by building a castle out of old boxes in the basement. Chapters are 5-10 pages long. 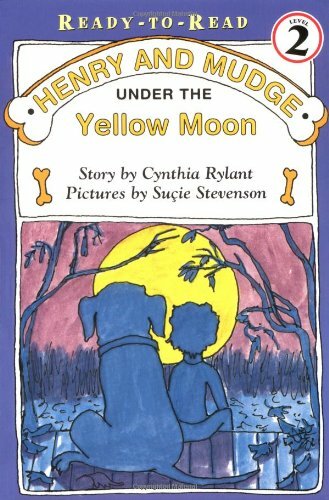 Henry & Mudge Under the Yellow Moon. J.
Rylant, Cynthia and Sucie Stevenson. Henry & Mudge Under the Yellow Moon. J. 1987. 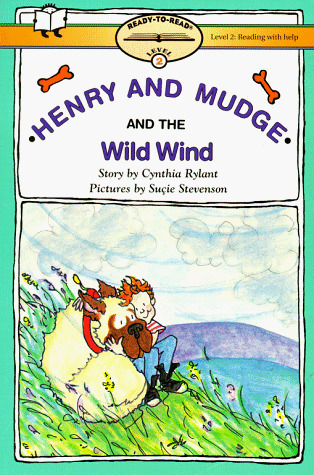 Henry and his dog Mudge enjoy walks in the fall, are scared by Halloween stories, and cope with an annoying aunt visiting for Thanksgiving. First chapter is 7 pages long, other chapters are 15-18 pages long. INFO: Randell, Beverly. Hippos. J. 1998. DESC: Another reliable animal non-fiction book in the PM ANIMAL FACTS: ANIMALS IN THE WILD series. This book provides a number of interesting tidbits about hippos, arranged by topic/common student inquiry. Among the fascinating facts that Randell’s book points out: how hippos hide from alligators! How deadly the fighting of bull hippos can be! What hippos do in the dry season! Great for students who may not have considered the wild and varied life of these great and deadly beasts. Like others in this series, there’s lots of information on every page – it might be best to use the discussion/review questions on the bottom of each page as writing prompts, and to take this book slowly, over a number of sessions, or as long as student interest permits. INFO: Randell, Beverly Randell. Lions and Tigers. J. 1998. DESC: Lions and Tigers is a solid J-level nonfiction in the reliable PM ANIMAL FACTS: ANIMALS IN THE WILD series. It features many different facts about the life of lions, under informative sub-headings, and a series of ‘reflection questions’ about the previous page on the bottom of every page. Students genuinely love the information; and the book’s split between lions and tigers provides an easy transition place/moment to break between sessions or units. Lots of text and information, for a Level J! In the Days of the Dinosaurs: When the Volcano Erupted. J.
INFO: Price, Hugh. In the Days of the Dinosaurs: When the Volcano Erupted. J. 1998. DESC: A fairly simple & straightforward fiction J. Although this book concerns dinosaurs and their life and times, it does not seem to be a non-fiction book, and introduces relatively little factual content. Chronicles the adventures of a group of “long-neck” dinosaurs as they (well – some of them) flee an erupting volcano and start life again on a small island. An exciting imaginative adventure for struggling readers and dino fans. The page with the dinos swimming across the lake is definitely a winner – first choice for my bathroom wallpaper border, hands down. TAGS: dinosaurs, volcanos, dinosaur times, ancient times, prehistoric reptiles, natural disasters, ancient natural disasters, fiction, J.